Spring break is coming! Some people may be excited for the break and some may be wondering what we will do to entertain the kids all week. 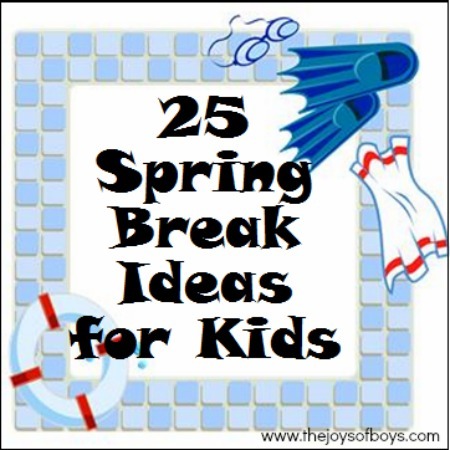 If you don’t have any big plans, here are some Spring Break ideas for Kids that are fun and inexpensive. We are pretty lucky here because our weather is pretty much perfect every year for Spring Break. I think it is our gift for having to endure our desert Summers. 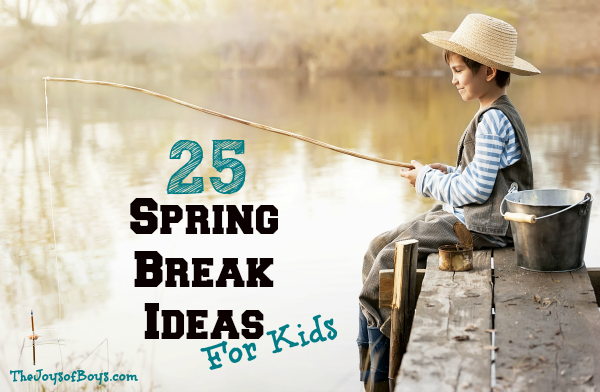 We love spending time outside as much as possible and we put together a list of Spring Break Ideas that we love to do. Have the kids look through Pinterest boards for crafts, activities or recipes that they would love to do and get the supplies together for some fun. There isn’t always time to do those things during the school week so Spring Breaks is the perfect time. 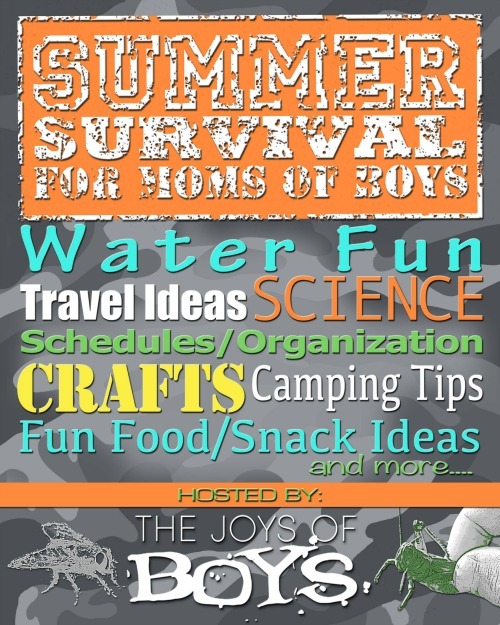 If you need some Pinterest inspirations, check out our Pinterest boards which are full of ideas for every type of activity under the sun: The Joys of Boys Pinterest. If the weather is good, spend as much time as you can outside. Gardening is a great way to teach kids about hard work and my boys get watching their plants grow, plus they would spend all day playing in the dirt. If you don’t have a garden, consider buying some planter boxes or garden pots for your kids to plant in. And don’t forget to get your kids their own garden tools that are just their size. They will love having their own garden spot! We love doing puzzles as a family but don’t always have the time to do the bigger puzzles that are collecting dust in the closet. If you are like us, pull out those puzzles and dust them off. 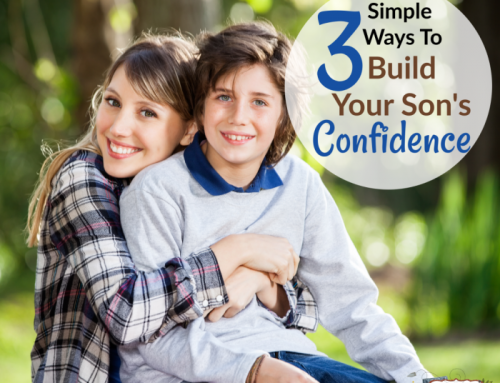 Your kids will love making them together. Pull out your picnic basket and go on a picnic. This can even be in the back yard, or if it is cold outside, then lay out a blanket in the living room and have your picnic there. Let the kids make their own sandwiches and pack their own snacks. Your kids will love it! See if your local library has any activities scheduled for the week. Our library brings in guest performers regularly and schedules story time weekly. If nothing is planned, at least go and check out some new books to get out of the house. Make sure it is complete with family movies and popcorn. Throw out some sleeping bags in the living room and party with the kids. Many ski resorts are still open and it might be your last chance to get the kids out on the slopes. It’s really warm here but within a couple of hours we could be on the slopes. Take your family somewhere new where they can try some new foods and experience a new culture. I’m sure many farmers would love to give your kids a tour if you give them a call or see if you can find a petting zoo. If the weather is nice, your kids will love getting up close with some animals and since it is spring, lots of baby animals are being born. Kids love cooking in the kitchen. Have them help you plan out the meals and prepare the food. You could do personal pizza night or a taco bar. Let them get creative. There are several cookbooks designed just for kids . Help neighbors in the yard, clean garbage in the neighborhood, visit elderly, go through toys and clothes and get some ready to donate. Kids can learn how to serve while they are young. Many people travel from all over the world to visit places that may be right in your backyard. Take your kids to local museums or visit a State or National park. Brainstorm ideas with them and let them plan out meals and activities for the day. Find somewhere to take your kids out on a hike. If you live near the mountains and it is warm enough, find a nature trail and watch for animals. Make up a list of items and go to a park or go through the neighborhood and look for those items. You could even make it easy by doing a photo scavenger hunt so you don’t have any items to pick up and bring home with you. 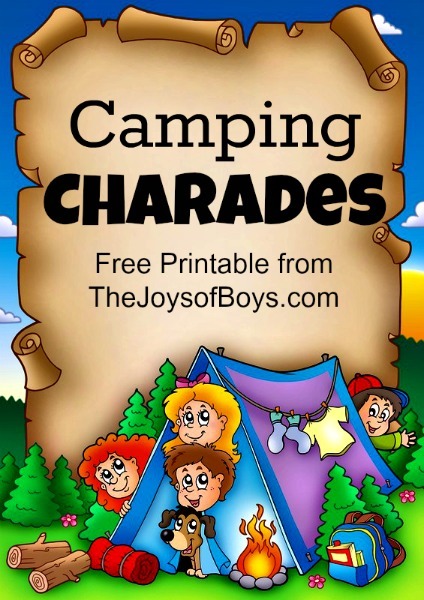 My boys love this Spring Break Scavenger Hunt and Eye Spy Nature Scavenger Hunt. It’s like a real-life treasure hunt! What kids wouldn’t want to do that. All you need is a gps or smart phone and the information you can find at www.geocaching.com. Follow the coordinates until you find the cache. Sign the book and see what other people have left behind. There are also several books about geocaching that can help you get started. You can’t have Spring Break without going swimming. If it is cold, try and find an indoor pool. Get a reservation at a local motel for the night. Kids see any hotel stay as a vacation and if they have a pool or a game room that’s even more of a plus! 19-Take me out to the ballgame! Go to the park and play some baseball. Nothing gets you ready for summer like a day at the baseball park. We don’t have any parks with ponds near us but whenever we visit my parents my kids love to go and feed bread to the ducks. See what fun creations you and your kids can make with sidewalk chalk . Or start a picture together and take turns adding something funny on. Sidewalk chalk is a great way for kids to stay entertained outside and using their creativity. Take the kids out on a bike ride or help them learn to ride their bikes. If you are out and about during the week, help your kids start a collection. I loved collecting things from our travels when I was young. My boys have started all sorts of collections. They can be as simple as rocks, sea shells, stamps, postcards, etc. We have a closet full of board games that we rarely get out and play. Take the time to have a family game night/day and see how many different games you can play. If weather permits, get up early one morning and head to the lake or a stocked pond. Lots of ponds at parks are stocked with fish and only allow for kids to go fishing. My boys LOVE fishing! 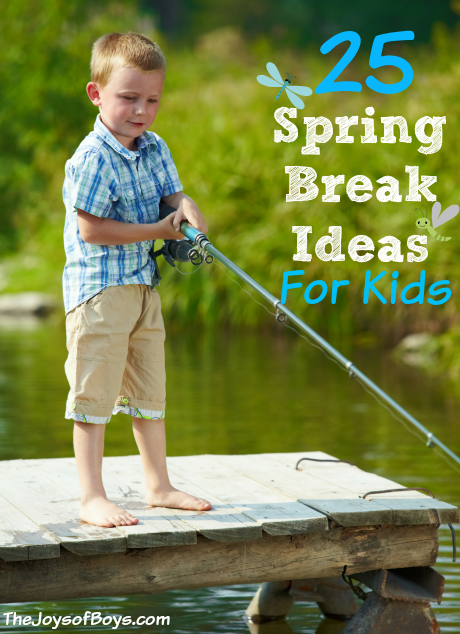 Hopefully this list gives you some ideas that can help keep your little ones busy over the Spring Break week. Do you have any Spring Break ideas I can add to the list? I’m not looking forward to Spring Break since my kids have different ones. Week one is done, next week I get to tackle the second one. I’ve done most of the activities you suggested in addition to spending some much needed me time at the gym. That’s hard to have them on different schedules! Hope things are going well with week #2.
as I was looking through these I was like “oh yea! I forgot about that!” What a wonderful list you have here. Thank you for your ideas! This might just be the best spring break yet! Oh good! So glad to hear that you found some inspiration. 😀 I need to get planning our Spring Break. It will be here before we know it!